Band – Middle school band seeks to develop comprehensive musicianship. There is an emphasis on music reading, instrument technique and ensemble skills required for successful band participation in high school. The band performs an annual Christmas concert, spring concert and participates in the March ACSI fine arts festival (other performance opportunities may be required). 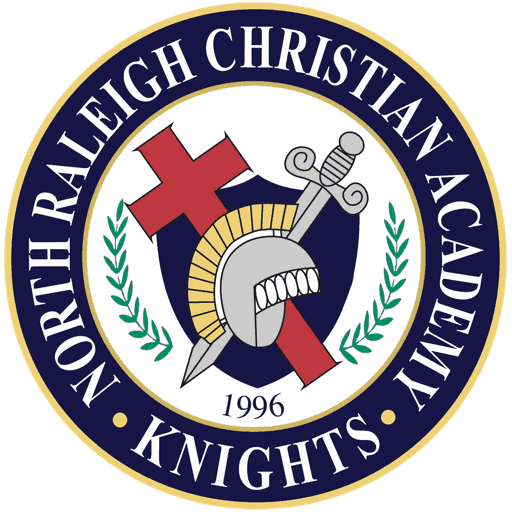 Select middle school students may also be eligible to participate in NCCSA all-state bands and the NRCA marching band. – 7th and 8th graders combine to sing in a choral setting. At this age, students concentrate on fostering their evolving voices including the boys’ changing voice. The course also includes review of music theory basics with opportunities to advance those skills. – For the student who loves to write as well as the student who wants to improve writing skills, this workshop class gives middle school authors the opportunity to compose works in a variety of genres. Creative Writing students will write poems (narrative and lyrical), short stories, short plays, and personal essays. Using creative activities designed to sharpen writing technique, students will generate their own portfolios and submit their best pieces for publication and/or competition. Drama–Dance – This elective builds on the sixth grade elective and enhances higher dramatic skills including technical theater (lights, sound, stage) as well as technical dance skills. Time is given to the study of proper stage communication and creativity. Various forms of dance are introduced as well as improvisational, worship dance. Discipline in form is stressed as the student becomes more aware of his or her body and ability to communicate with it. – Drawing: Students will be introduced to elements and principles of Art that will teach them how to draw and produce desirable artwork. Black/White: Students will study the mediums of Charcoal, Pen & Ink, Scratchboard, and commercial design – areas requiring precision drawing. Sculpture: Students will study 3D artwork and be able to create designs in clay. Introduction to Computer Programming­ – Introduction to Programming is designed for students interested in learning more about programming at an introductory level. The goal is to develop in students the computational thinking practices of algorithm development, problem solving, programming within the context of problems that are relevant to the lives of today’s students, and creative computing. Creative computing supports the development of personal connections to computing, by drawing upon creativity, imagination, and interests. Engaging in the creation of programming supports student’s development as computational thinkers – individuals who can draw on computational concepts, practices, and perspectives in all aspects of their lives, across disciplines and contexts. Students will learn several different programming applications at an introductory level. Topics will include control structures, objects, classes, inheritance, looping, simple data structures, and basic concepts of programming. No prior programming experience is required. Painting, Printing, and Communication Arts – Painting: Classes will include Tempera, Watercolor painting and Acrylic painting; We will explore several diverse styles and combination of mediums. We will also learn how to use color to add excitement to our paintings. Printmaking: We will explore the use of a printing press to create art as well as woodcuts, silkscreen prints, Monoprints, and other prints produced by hand. We will be using both single and multiple color processes. Communication Arts: This class will involve a series of projects in which students will solve a problem in the most creative way and communicate a solution through a variety of mediums. Solutions can be achieved through painting, printmaking, three-dimensional materials or a combination of all of these. – The course explores various aspects of the media in American culture and how photography plays an important role in conveying information to our society. Students learn about the history of photography and photojournalism, how cameras work, proper photography techniques, as well as take a look at current events through the eyes of a photojournalist. They have hands-on experience with cameras and journalism, conduct interviews and see their work in print. They also assist the high school yearbook and newspaper staffs throughout the year, writing articles and submitting photographs. – Students in seventh and eighth grade physical education focus on teamwork and developing a personalized, lifetime love for physical fitness activities. Students learn to work cooperatively with each other while also being placed in leadership positions. Students develop movement and sports-specific skills that are used in a variety of individual/dual and team sports. Frequent net type of activities and strategic games provide an opportunity for students to problem solve and demonstrate advanced strategies. Video Production – Video Production focuses on integrating media with other school subjects. Students participate in videography and filmmaking. This course helps students hone their research, writing, video shooting, editing, and storytelling skills. Students working in small, cross-disciplinary groups produce broadcast quality, character-driven documentaries.